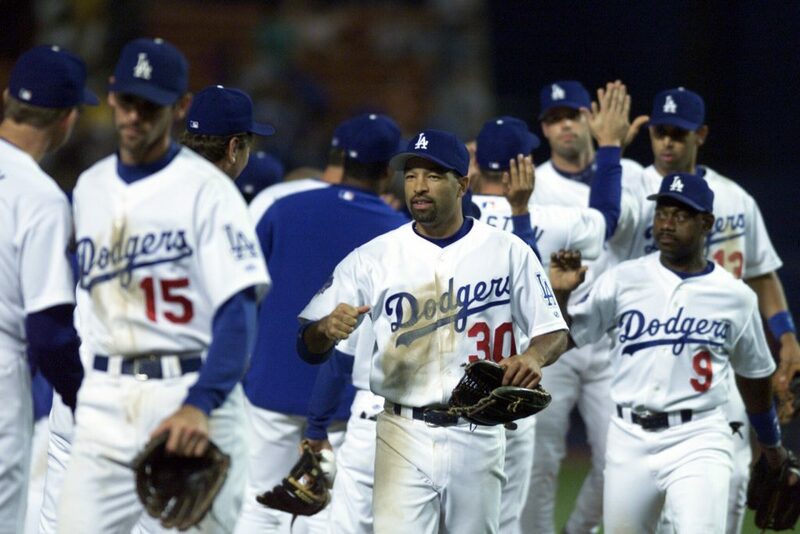 Dave Roberts made his Los Angeles debut with the 2002 Dodgers, a mostly forgotten squad whom a couple of weeks ago I called the best third-place team in Dodger history. 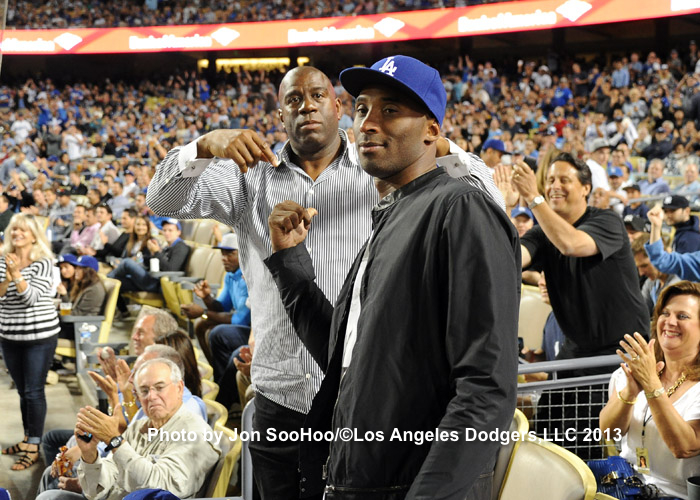 Those Dodgers won 92 games but finished behind Arizona and San Francisco in the National League West. 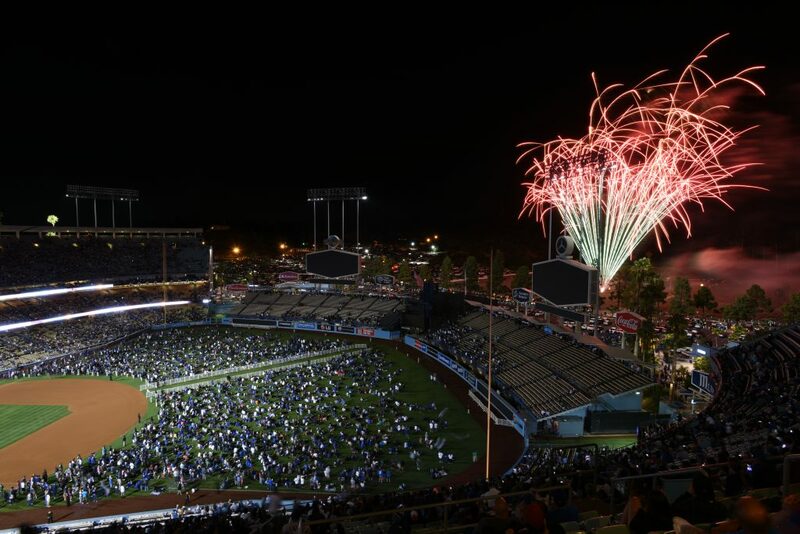 Under the current playoff format, they would have made the NL wild-card game against the Giants, who ended up in the World Series against the Angels. 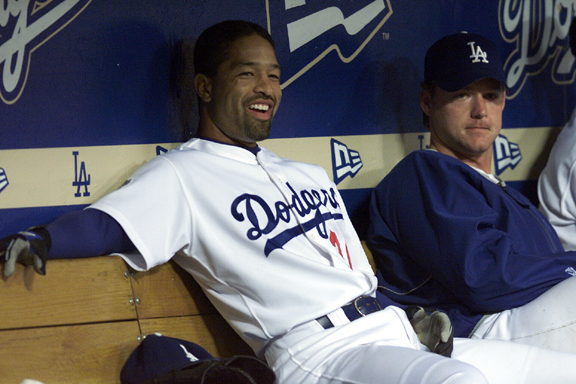 Dave Roberts first came to the Dodgers as a nobody. On December 22, 2001, the Dodgers traded two single-A minor-leaguers, Christian Bridenbaugh and Nial Hughes, to Cleveland for an outfielder who had 40 career Major League hits at age 29. 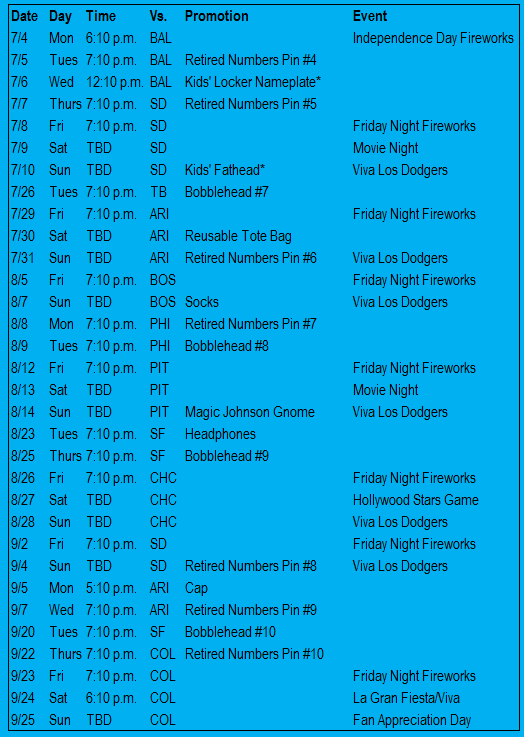 Neither Bridenbaugh nor Hughes would play at any level in any of MLB’s 30 organizations again. But Roberts, he wouldn’t easily be forgotten. Minor-league right-handed pitchers Jharel Cotton (left) and Ross Stripling have been added to Dodgers’ 40-man roster today, as expected, ahead of the deadline to protect them from other MLB clubs in the Rule 5 draft. 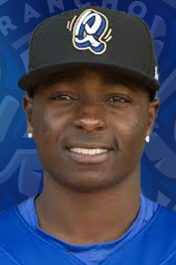 Cotton, who turns 24 in January, pitched primarily for Double-A Tulsa, with 71 strikeouts and a 1.12 WHIP in 62 2/3 innings, before gaining 7 1/3 innings of Triple-A experience at the end of the year. 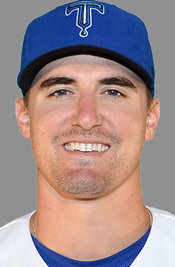 Returning from April 2014 Tommy John surgery, Stripling (who turns 26 Monday) had 55 strikeouts and a 1.19 WHIP in 67 1/3 innings for Tulsa. 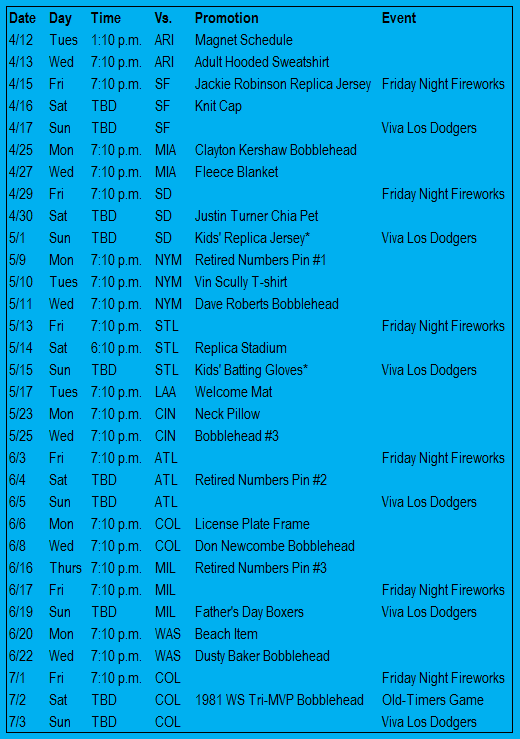 The Dodgers now have 39 players on their 40-man roster, 23 of them pitchers. 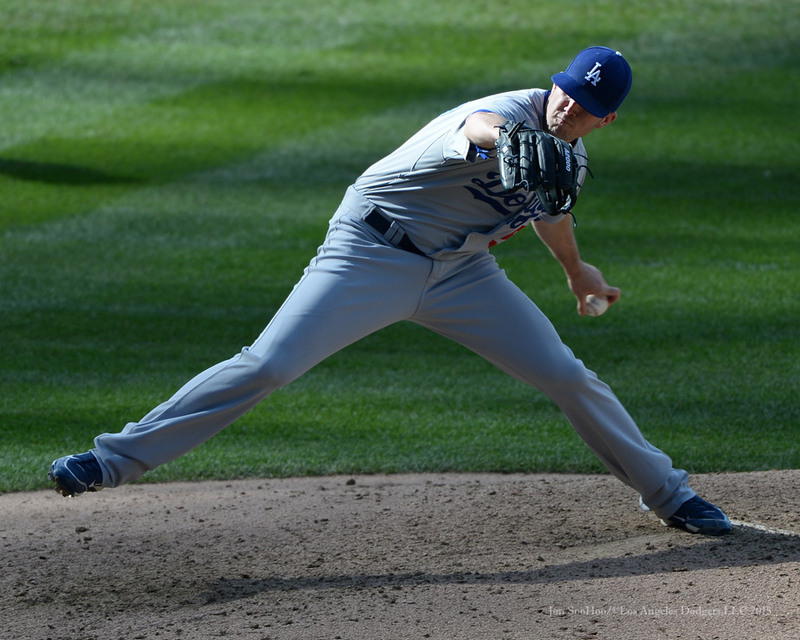 When he got on the phone late last week, Alex Wood was on his way to a wedding, an event that has become as regular as a turn in the starting rotation. 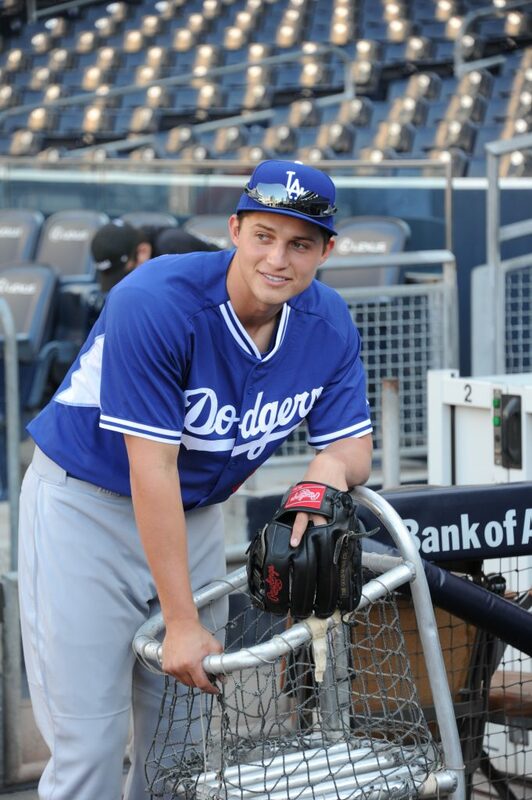 Inevitably, baseball players become experts at weddings — especially arranged marriages, like the one Wood found himself in July 30 when Atlanta traded him to the Dodgers. In some ways, the honeymoon is over, but in other ways it hasn’t yet begun. 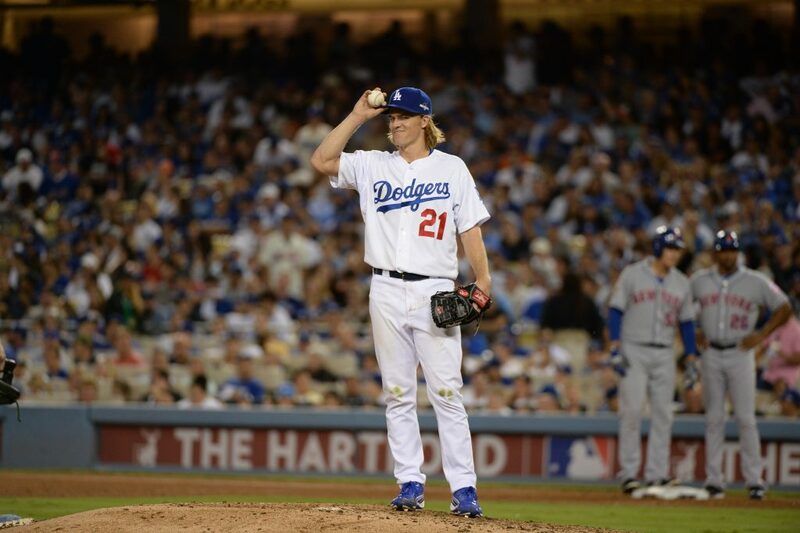 Zack Greinke finished seventh, Clayton Kershaw 10th and Adrian Gonzalez tied for 19th in the Baseball Writers Association of America’s National League Most Valuable Player vote, won unanimously by Washington’s Bryce Harper. Greinke, the NL Cy Young Award runner-up, received two of the 30 possible second-place votes behind Harper, and in the MVP race also finished one slot behind NL Cy Young winner Jake Arrieta. 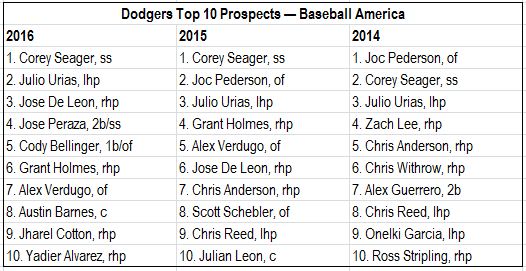 Greinke was included in the top 10 of 24 ballots. Other than Kershaw winning the NL MVP voter last year, Arrieta and Greinke had the highest finishes for a pitcher in the NL MVP race since Roy Halladay finished sixth in 2010. Kershaw’s highest place on any MVP ballot this year was fourth place (two votes). Gonzalez had one ninth-place and one 10th-place vote. Despite the lowest ERA in the Major Leagues in 20 years, Zack Greinke will go into the offseason without the National League Cy Young Award. Greinke missed becoming the ninth Dodger pitcher to win the trophy, falling to Jake Arrieta in this year’s vote by the Baseball Writers Association of America. If four of Greinke’s 17 second-place votes had put him first, Greinke would have won the award. Finishing third was three-time winner Clayton Kershaw, who did receive three first-place votes. No ballot put Arrieta or Greinke outside of the top three, while two voters had Gerrit Cole of the Pirates in third place. Greinke had a 1.66 ERA — the lowest in the big leagues since Greg Maddux in 1995 — and an adjusted ERA of 225 (best since Roger Clemens in 2005). He also led the Majors in WHIP (0.84) and win probability added (6.72). This year’s balloting marked the first time that a pair of teammates ranked among the top three Cy Young vote-getters since 2011 (Philadelphia’s Halladay and Cliff Lee) and the first time for two Dodger pitchers since 1974, when Mike Marshall won the award and Andy Messersmith was the runner-up. 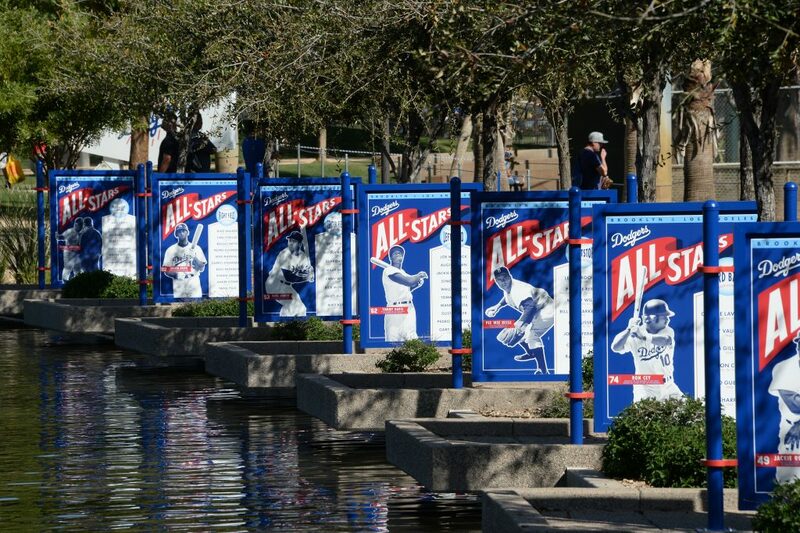 Two different Dodgers haven’t won the award in consecutive years since Don Drysdale (1962) and Sandy Koufax (1963). 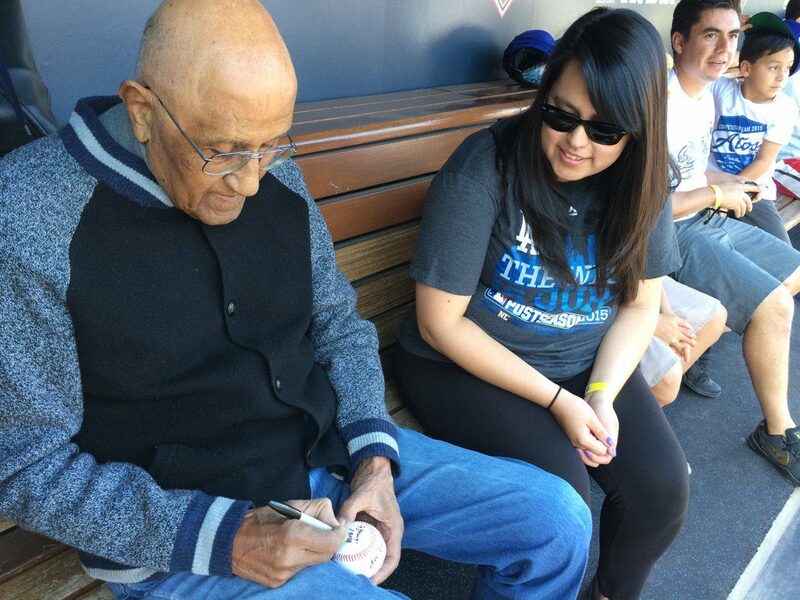 A cheerful Don Newcombe was among the featured guests at today’s Dodger Stadium gathering for approximately 300 pre-selected Armed Forces veterans and active duty service members and their families.